On January 1, Karen Tweedie, PCC(1), will make history as she assumes the role as the International Coach Federation’s first non-North American president. The Australian will join 15 other officers and directors-at-large from 10 countries to form the 2009 global ICF Board of Directors. Tweedie has been coaching professionally in both the public and private sector for 16 years and has held various positions of ICF leadership, including: President of the International Coach Federation Australasia in 2005; Secretary/Treasurer of the global ICF Board in 2007; and President-elect of the global ICF Board in 2008. “I am thrilled to be leading the ICF into 2009. It is a great honor for me, as well as those in the Australasian region, to have the opportunity to serve as the first non-North American president of this global coaching association,” said Tweedie. -- Director: Pat Obuchowski, ACC, (USA)*. 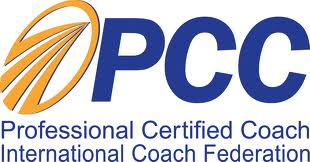 The International Coach Federation is the leading global organization for coaches, with over 15,000 members in 92 countries, dedicated to advancing the coaching profession by setting high ethical standards, providing independent certification, and building a worldwide network of credentialed coaches. The ICF is the only organization that awards a global credential which is currently held by over 4,400 coaches worldwide.. Credentials awarded by the ICF: (1) PCC: Professional Certified Coach; (2) MCC: Master Certified Coach; and (3) ACC: Associate Certified Coach. Time: 2-3 pm EST : 0030 hrs IST !!!! How symbolic…..it was a moment which symbolised my personal forward movement to the accomplishment of my bigger goal. I was paired with Joanne Waldmann, a very able trainer at ICA for years. I have been to many of her classes inspite of them being at unearthly hours (different time zones!!). A day before the class we had a great call where we discussed the outline I had drafted for the class and got great inputs from her to make the class interesting and tips on how to manage if the class was too small or too large! This could be such a variable factor …. I mean I could end up with as many as 30 participants or just 3 ! And further they may or may not be in a mood to share. Here the competency of creating a safe space, acknowledging different adult learning styles and making the class interesting become so relevant for the trainer/facilitator. 10 minutes before the class….A deep breathing exercise, a gulp of water and a run thru my notes. Here I asked myself this question : What is my intention for this class? Was it : Trying to give an outstanding performance? or was it getting good feedback from the participants? Well a few seconds of introspection just brought it out …… I wanted to honor the time and commitment of the participants by providing them as much value as I could from this class. Just then the focus shifted from Me to Them !!!! And everything seemed to flow smoothly like it should have. A warm welcome to the participants from different countries of the world ( 14 in all ) followed by Joanne introducing this new (mine) voice to the group. Then it was all mine. We did a little warm up meditation to set the intention of the participants and to get them centered in. This took us to the next segment I had planned where they were asked to share their wins or accomplishments if any of the past week be it personal or professional. Wow! there were so many! And this set a tone of positivity and jubilation for the class.This technique of sharing wins was something that I picked up in Bill’s classes.Thanks Bill Turpin. While introducing the topic I told the group that I had designed “Group Coaching” for them around “Moving Forward”. Getting their approval was important and was recieved promptly. And boy did this open a can of worms!! We had loads of tools from our able coaches to move this client forward. I took notes like mad….am sure others did too. The case study led to stories and experiences. I had one which I had planned to share but the baton never got to me. It was almost the top of the hour when I asked the participants for their take away’s and this was the best part, the part when my intention and effort felt validated. Its only when Joanne reminded us that we are 3 minutes beyond the hour and that she needed to leave for Supervised Coaching that the spell was broken. I thanked the participants on the discussion board and Lo Behold! I got a beautiful acknowledgement. I would like to acknowledge your warmth, kindness, enthusasim and grace as a teleclass leader. I experienced you creating a safe and energized space in which we could all participate.